The new Apocrypha-only Softcover edition in the Common English Bible translation is perfect for the classroom setting, a personal library, or for those who have never studied these books. The binding and price make it a cost-effective choice. This edition is also for Catholics, Anglicans, Episcopalians, and those interested in the Apocrypha. Ceb Common English Bible The Apocrypha Softcover by Common English Bible was published by Abingdon in September 2013 and is our 39587th best seller. The ISBN for Ceb Common English Bible The Apocrypha Softcover is 9781609261337. 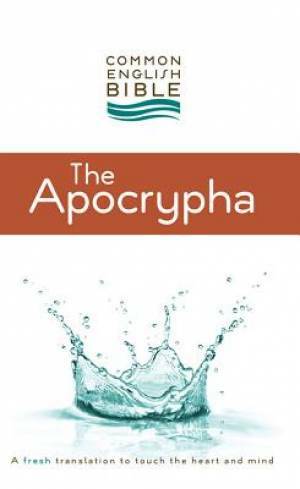 Be the first to review Ceb Common English Bible The Apocrypha Softcover! Got a question? No problem! Just click here to ask us about Ceb Common English Bible The Apocrypha Softcover.